In this video I walk you through step by step to make simple, very easy, crustless quiche or fratatas based on the recipe from Ian Bambic and his expertise given through TalkToChef.com. All you need are ramekin dishes, eggs and whatever food you want tossed in! 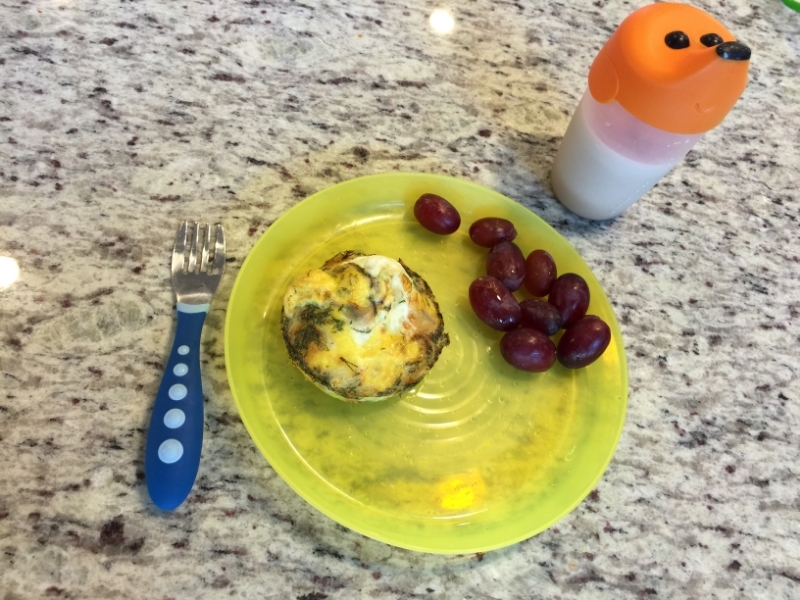 You can prep these the night before and cook in the morning for a fast and hot breakfast specific to each child’s food preference! One egg per ramekin. 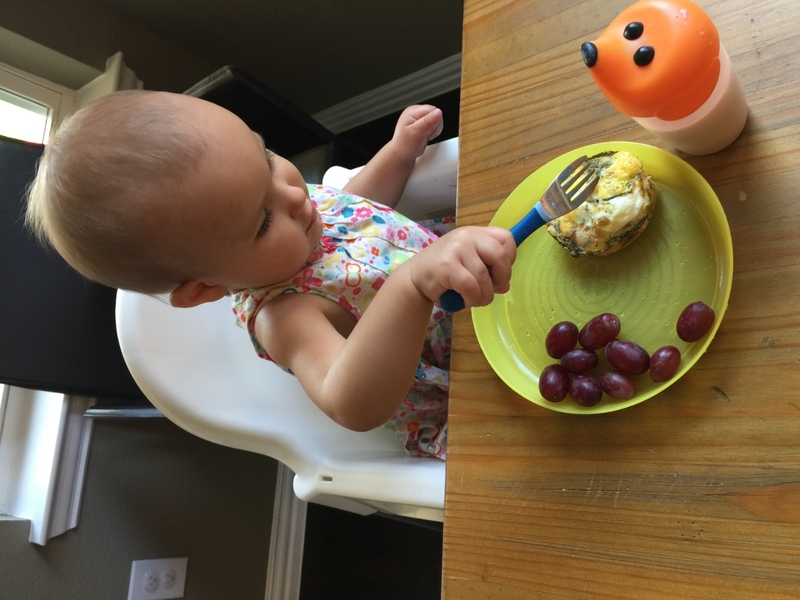 Add some meat, cheese, fruits and veggies – whatever you have on hand that your kids will eat. Add a little seasoning – I personally love fresh dill. Mix around and toss in the oven for 10-15 minutes for convection, 15-20 minutes for a standard oven. When done, a fork will lift them right out of the ramekin to place on the plate to eat. 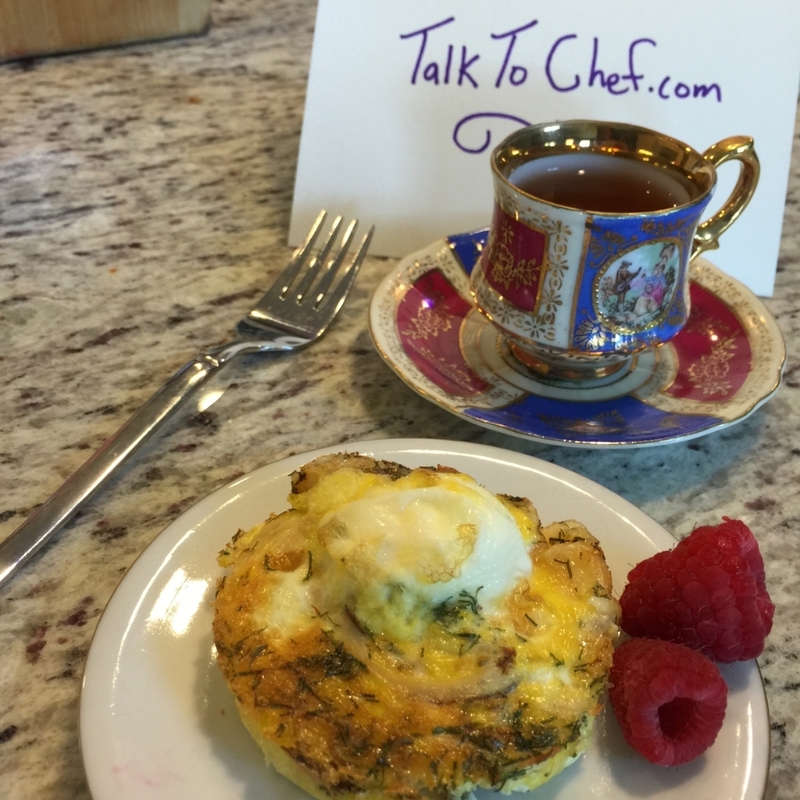 TalkToChef.com is a aggregate website that brings together real, professional chefs and foodies. Their iPhone app allows you to find local chefs to hire and the website goes a step further; further than anything offered on the internet right now. This post is sponsored by TalkToChef.com. All ideas, thoughts and opinions are honest and my own.